Our next guest is Sandro Reinaldo, Chief Marketing Officer at AS Monaco Basket of Prince Albert will speak about the importance of Productive Networking, secrets of success and his personal experience. 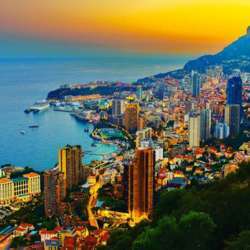 Monte Carlo and the surrenders is a very fruitful business opportunities country with a direct valuable ROI according the size of this multi-millionaires and billionaires, with world famous events and activities. AS MONACO Basketball have PRIVILEGES ACCESS, EFFICIENCY AND ACCURACY in local networking to mostly all major business into the Principality of Monaco such as financial, bank, fund raising, Trust funds, legal, investment assets, high and luxury retail, luxury yachting, luxury real estate property investments and more.